White Noise on getting your sound right. 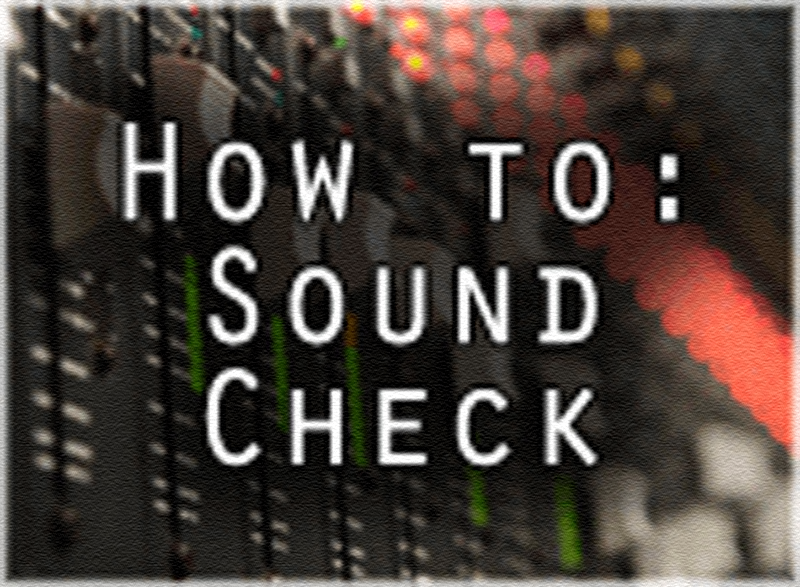 Ideally, sound checking a mic for beatboxing should only take about fifteen minutes, but in case there are problems always aim to show up early. Also, if there are other acts on the bill it is usual for the headline act, or more complex setups like a full band, to get priority over simpler stuff like checking a mic for Beatboxing. Expect to wait around before getting to sound check. The sound engineer will usually have a lot of stuff going on so try not to annoy them. Introduce yourself, make sure you know the engineer’s name and use it when talking to them. If you are respectful to the engineer you are more likely to get good results. If possible, always use monitors/wedges for performance and sound checking. These are small speakers on the stage that face you so you can hear what you are doing. The sound coming out of these may differ slightly from what comes out of the front of house system (main speakers in the venue). But they are great and usually necessary as a guide to what the sound in the main venue is like. Often the crowd in a venue is so loud it is hard for you to hear the sound system in the venue clearly from onstage. Also, the main speakers may be pointed away from you and you will hear a distorted version from the stage, so the monitors onstage are your friend. When the soundperson / sound engineer is ready for you, take the mic and stand on stage where you will be performing and give a few basic drums to start with, don’t launch straight into an all out routine just yet. I usually start with kick drums to get the gain at the right level. Gain is not the same as volume, gain can be considered how much the microphone takes in, with the gain too low your sounds will be very weak, with gain too high they will be distorted. “unity gain” is the default position where the dial on the sound desk is straight up. I usually try and get gain set to a position where it is as high as possible without distorting. If you feel the gain is not high enough, or it is too high, discuss it with the engineer briefly. He may tell you that he can’t give you more gain as there will be feedback. If this is the case, you can request that he turn down the volume on the monitors a bit and turn up the gain in order to reduce feedback from the onstage speakers. Once I’m happy with the gain volume, I’ll concentrate on the EQ levels. EQ or equalisation refers to the volume levels of the different frequencies. In smaller venues, and basic sound desks, there are anywhere from one (referred to as ‘tone’) to three or four control knobs to change the volume of bass, mid and high frequencies on your mic. In bigger venues and better sound desks, this can be any number of control knobs, or on advanced systems individual frequency numbers can be selected and increased or removed. For sound checking though you generally only need to know if you want more or less bass, mid, or high (also called treble) on your mic. I usually start with hi-hats and make sure the engineer can give me enough high-end to make the hats sound crisp and sharp without getting feedback from the monitors. If you do get feedback you can request a little less gain, or less volume on the monitors, or less high end to try and help this. It’s up to you which part of your sound you want to sacrifice, if any. After the hats, I move onto kicks again and make sure the bass is heavy. I like a lot of bass so I make sure it’s thumping when I do kick rolls. Some sound desks have something called a ‘rumble filter’ or ‘high pass filter’ to stop ‘handling noise’ – the sound made by handling mics. This filter is really not necessary and can sometimes cut out nice low sounds used in Beatboxing that would not normally impact on singing. Ask your soundman to remove this filter if it is turned on. N.B - A competent sound engineer will be well capable of getting your sound set up without technical help from you even if they have never ‘done’ Beatboxing before. Only hassle him about things if they are important and you are not happy until they are fixed. 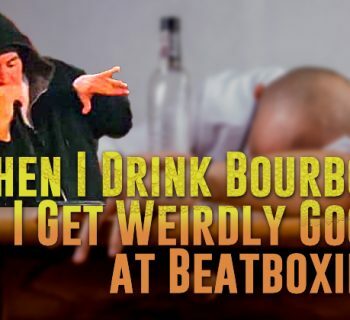 Note: Some Beatboxers like some reverb on their mic. If you want reverb added, I would advise you keep it “tight and close” as in very short, subtle reverb just to add a bit of depth and avoid any overpowering reverb. I’ve noticed a lot of engineers expect this to be added to Beatboxing, if you feel it is too much, just ask him to remove or reduce the effect. To judge the amount of mid level EQ applied to your mic, I would normally use hollow snares or rim shots. Once you think the mic is sounding nice, do a simple beat and then a more complex routine, quickly running through the various sounds and techniques you intend to use. This will enable the engineer to fine tune the settings for you. Make sure you try out different techniques like vocal scratching, crab scratching, harmonic throat taps, throatboxing, etc, anything that may impact the sound and see that you are happy with all techniques. Also be sure to move around the stage to check that the sound is good at all points on the stage, sometimes some points are more vulnerable to feedback due to the positioning of the monitors or overhead house speakers, if any. 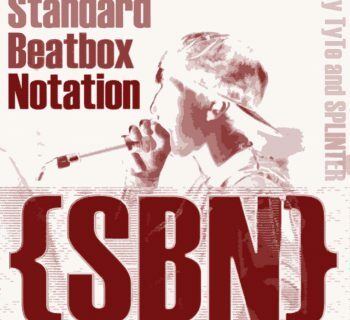 If sharing the stage with other Beatboxers, musicians, etc be sure to check each person’s setup separately and then together to check the relative volume’s of each artist. N.B - It’s common for an engineer to ask the artist to play something as loud as they would during performance in order to check that you won’t distort at a higher volume. If using effects or loops, check your mic using this setup. Personally I use a mic into a delay pedal, which goes into a loop station which goes into the sound desk via a DI box. A DI box is a small box that you can plug a jack lead into that then connects to the main sound desk. If I am using a sampler or other equipment I will plug this into the loop station also. The advantage of this is being able to loop the sounds of the sampler. The disadvantage is that the sampler is now using the same EQ settings as the microphone as they are both in the same channel. N.B - Be aware that the longer the “chain” of equipment you have the less satisfactory EQ settings you may achieve. Using a delay pedal, looper, etc, on top of the mic will result in lower sound quality. The amount of difference in sound quality largely depends on the quality of the sound system. In larger venues, the difference is usually lesser. Although all this seems complicated and long, the actual running of it should only take fifteen minutes or so. Longer if there are problems, shorter if things go perfect. I’ve done two minute sound checks and I’ve done thirty minute sound checks. Also, remember that the sound will vary once the venue is full, and when onstage you can always ask the engineer for more or less gain/bass/mid/treble/reverb/whatever. Or you can ask for more of yourself in the monitors if you can’t hear what you’re doing. My golden rule for all of this remains to be nice to the engineer, as they are often stressed and have a hundred things to do. It is for your own benefit to treat them with respect and to get on first name basis with them again. If your performance is successful, it is likely that you will run into the engineer again and if you become friendly with them the more likely it is that you will get a good result from them in the future and sound checking will become easier. At this stage it happens quite often that I run into engineers that know how I like my sound, it makes things a lot easier. Also be aware that top Beatboxers often have their own personal sound engineer to travel with them, to get their sound just right. This, however, is reserved for the top few active Beatbox artists, as the cost is considerable….